Triamcinolone acetonide cream usp .1 is commonly applied in the treatment of harsh skin conditions such as eczema. Such eczema conditions have symptoms like crusting, dryness, inflammation, itching, redness, scaling and are responding well to less powerful corticosteroids. It’s noteworthy that the key ingredient of triamcinolone acetonide is one of a group of drugs that imitates the actions of the corticosteroids; naturally generated by our body. Triamcinolone acetonide cream attenuates the action of chemical compounds generated by the body that result in inflammation, swelling and redness. Although its generic name is triamcinolone acetonide, the cream is sold under different trade names for instance Aricin, Aureocort, Cinalog, and Kenalog. 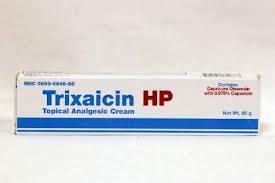 The .1 basically means the strength of the active ingredient (triamcinolone acetonide) in the cream. 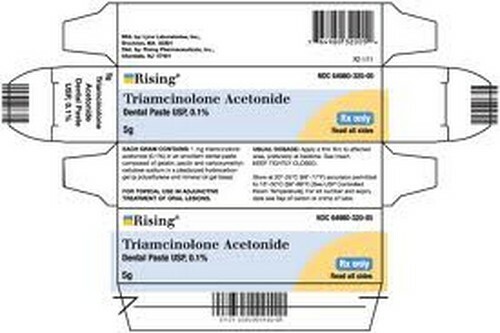 For Triamcinolone acetonide cream usp .1 it means it contains 1mg of active ingredient per 1 gram of cream. Further information about its actions and pharmacological nature and action can be obtained here. Besides the cream form, Triamcinolone acetonide is manufactured in aerosol, liquid, lotion and ointment form. The other forms help treat other conditions such as asthma, arthritis and swelling of the eye. Triamcinolone acetonide is a strong drug thus there is potential of side effects occurring such as acne, burning, change of skin tone, cracking of the skin and itching. In case of any unforeseen signs of severe allergic reaction like complication in breathing, swelling of the face, lips, throat or tongue, then emergency assistance should be sought after immediately. Furthermore, like any other rule of thumb for any medication, see your doctor if the treated symptoms are not going away or get severe. You can double check with the pharmacist too prior to purchasing the cream. Who can use the cream? It is also advisable to seek doctor’s permission prior to use since triamcinolone acetonide cream is not good for those with untreated fungal, bacterial, viral or Herpes infections or tuberculosis. Moreover, it should not be used for children except once a doctor has prescribed it. Also note that the medication should not be applied on the face, close to the eyes or on body regions the skin is thin or folds. The Internet has changed a lot of how we do things including whether to buy triamcinolone acetonide cream usp .1 or not. It has put the world’s information under our fingertips. It has made networking and sharing content and information much easier. In addition to helping us with product ordering, the Internet has also changed how we decide on a product by giving us a whole host of ‘review’ sites and information resource sites. The bad news is that not all of these resources can be trusted. Why? Many of them were built by people that sought to push one particular product. This product might not be the product that would give you the relief you’ve been looking for like triamcinolone acetonide cream usp .1. Bad review sites are the wrong resources to use in making purchasing decisions. There are good review sites, but you have to tell them apart from bad review sites. Avoid bad or fake review sites. Fake review sites and fake review all share one common feature: overly positive reviews. While the obvious fake sites with no negative components are declining in number, worse fake sites have arisen in their wake. These ‘realistic’ review sites have a huge list of positive features for the product being pushed and a very short but ‘realistic’ looking list of negative features. If you read through the negatives, though, you quickly realize that these aren’t that negative at all. In fact, many are quite irrelevant. Don’t get faked out by these ‘realistic’ ways fake review sites throw people off their trails. Spotting real objective comments and reviews from ‘realistic’ fake reviews takes some practice but after reading a few of these, you’ll quickly get the hang out of finding fake sites. How can fake reviews harm you? Fake reviews can really set you back by robbing you of your time, effort, and motivation levels. Your time is your most important asset, but it is wasted by fake reviews since you have to spend a lot of time corroborating all sorts of fake claims. You also lose your motivation level if you get confused. You might just get pushed to buy a product that doesn’t really match your needs. Learn how to read between the lines when looking at review sites so you can get the information you need to corroborate at objective sites. These pieces of information clue you in on the real score regarding the product you are considering. Find the central piece of information that can ‘make or break’ the particular product. Fake review sites have gotten slicker throughout the years. Learn the tricks so you don’t get fooled. Make your purchasing decisions based on unbiased and reliable information. Triamcinolone acetonide is a strong drug thus there is potential of side effects occurring such as acne, burning, change of skin tone, cracking of the skin and itching. In case of any unforeseen signs of severe allergic reaction like complicatedness in breathing, swelling of the face, lips, throat or tongue, then emergency assistance should be sought after immediately. Furthermore, like any other rule of thumb for any medication, see your doctor if the treated symptoms are not going away or get severe.